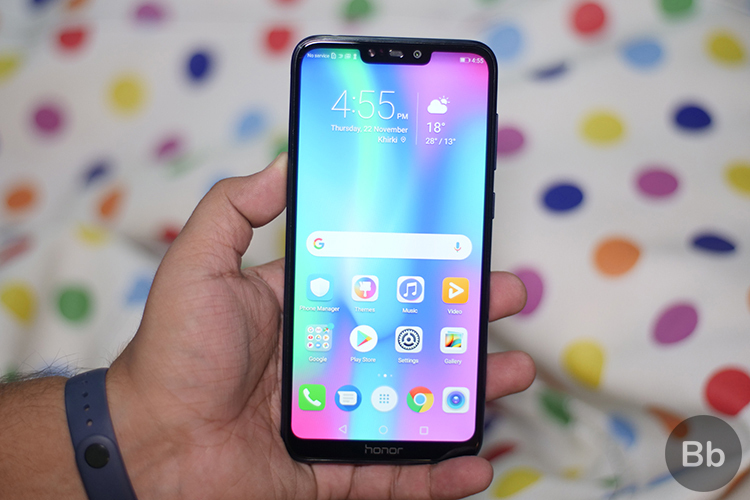 Following the huge splash that Realme U1 made in the budget segment yesterday, Honor has announced the launch of its Honor 7C successor – the Honor 8C – in India today. This device was initially unveiled in China back in October and it has now finally landed in the country. The base variant of Honor 8C, with 4GB of RAM and 32GB of onboard storage, has been priced at Rs 11,999. The other variant of this device is priced at Rs 12,999 for the 4GB+64G storage variant, and the smartphone will go on sale from December 10. The Honor 8C will be available in two color variants, namely Aurora Blue and Midnight Black. It will be sold online exclusively via Amazon, and you can get notified for the first sale by clicking this link. 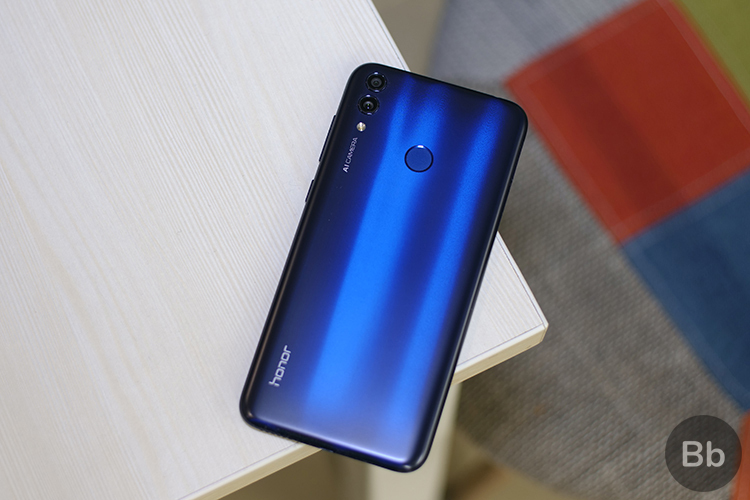 The Honor 8C is a pretty huge phone and takes inspiration from its elder brethren, the Honor 8X, to feature a shiny rear panel which looks pretty stunning in different lighting conditions. The company uses a 3D nano-level texture design technique to give the device its signature look. Coming to the hardware specs, the device features a 6.26-inch HD+ display (1520 x 720 pixels) with a notch up-top and a huge chin with the Honor branding at the bottom. 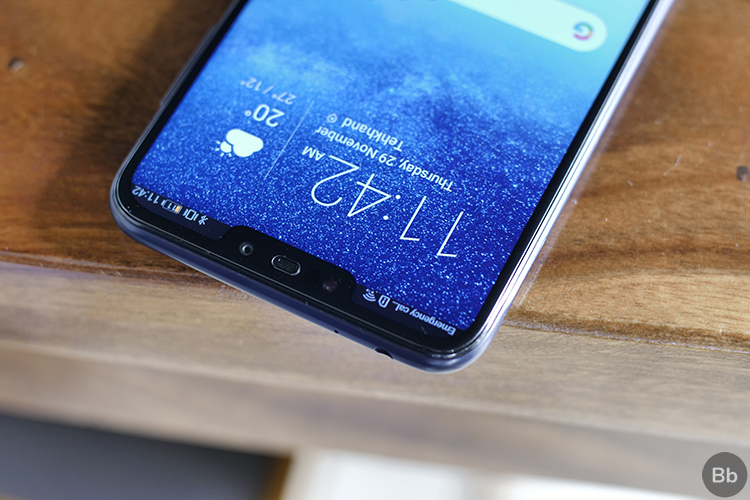 The screen-to-body ratio of the device stands at 86.6% and the notch holds an earpiece, selfie camera, and a soft LED flash. The device is powered by the Qualcomm Snapdragon 632 chipset, coupled with up to 4GB RAM and up to 64GB internal storage. The Honor 8C is the first device to be powered by this chipset. It runs the company’s EMUI 8.2 skin on top of Android 8.1 Oreo but a key highlight of this device is the massive 4,000mAh battery, which promises a two-day battery life. As for the optics department, the device brings along a dual camera setup, with a 13 MP (f/1.8) primary sensor and a secondary 2 MP (f/2.4) depth sensor on the rear. It also has an 8MP (f/2.0) selfie camera on board, with a soft LED flash both on the front, as well as the rear. In terms of connectivity, the device features a triple-slot SIM and microSD card tray, along with the usual set of options including Wi-Fi 802.11 b/g/n, Wi-Fi Direct, Bluetooth 4.2, A-GPS, GLONASS, BDS, a micro-USB charging port and a 3.5mm headphone jack. The Honor 8C has been priced in a similar ballpark as some of the more popular budget smartphones including the Redmi 6 Pro, recently launched Realme U1, and the ZenFone Max Pro (M1). So, would you be interested in buying the Honor 8C? Will it because of its looks or the hardware specs? Let us know in the comments down below. Honor 8C is an Amazon exclusive and will go on sale from December 10. You can get notified for the first sale by clicking this link.